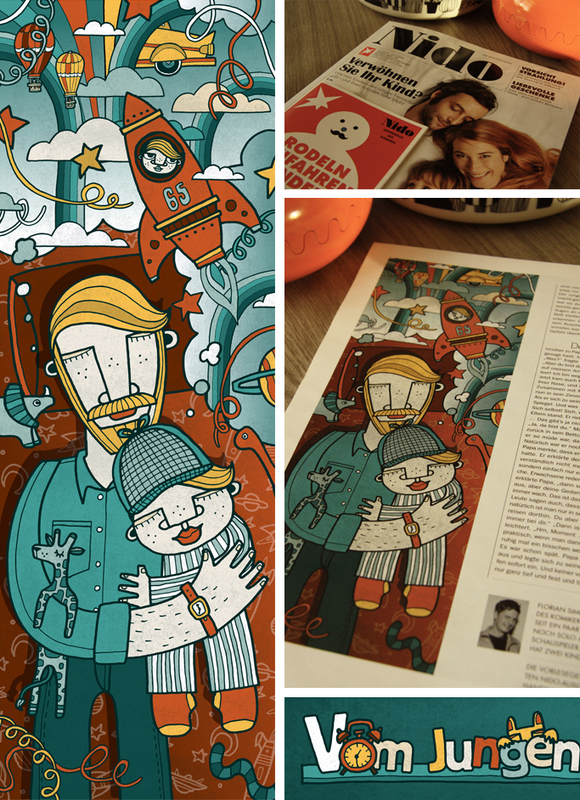 German family & lifestyle magazine Nido commissioned me to do these two illustrations for their December edition. 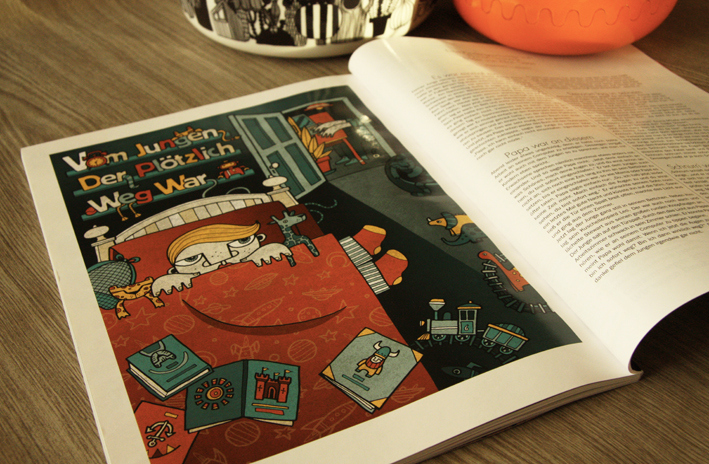 The images accompany a short story by Florian Simbeck. 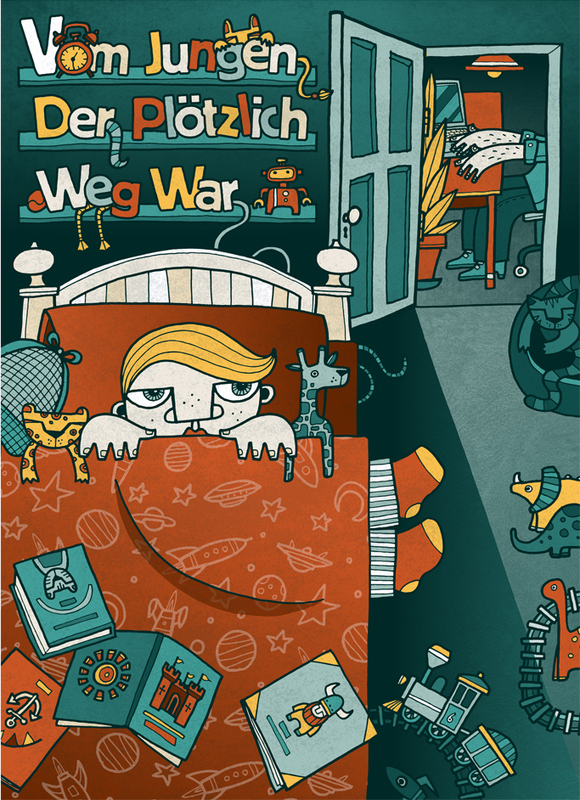 The story which roughly translates as 'The Boy Who Wasn't there' is about a little kid who can't sleep and his dad - too busy with work to read him any more stories - tells him if he just lays there long enough he will eventually 'be gone' - as in gone to sleep ) Being a little boy with a huge imagination he worries that he will actually disappear so has to investigate the other people & animals in his house sleepin. In the end both the boy & dad both fall fast asleep & the only place they have 'gone' is to dreamland!